Since 1982, Keizer Transmission has been providing exceptional transmission services to customers in Salem. 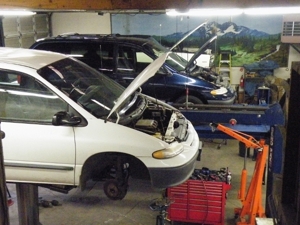 From minor repair to complete transmission rebuild services, we handle it all efficiently. Our skilled technicians understand the importance of your vehicle and provide the appropriate service to suit your needs. If your automobile has transmission issues, contact Keizer Transmission. Our experienced mechanics work hard to get your vehicle back to its original condition. We do full-service transmission replacement, repair and rebuild. Keizer Transmission repairs differentials and transmissions for both foreign and domestic vehicles at competitive rates. To learn more about our services, call us at (503) 877-1942. Call Now for Transmission Repairs! Copyright © 2018 keizertransmissionrepair.com All rights reserved.